Kefir is a fermented milk product that has been produced since the late 19th century. Despite originating in Eastern Europe, Russia and Southwest Asia, the beverage is now widely consumed in many countries. The abundance of microorganisms and vitamins in kefir can provide a range of health benefits. Kefir is a complex dairy product created through the symbiotic fermentation of goat, cow or coconut milk using yeasts found within exopolysaccharides, lactic acid bacteria, and the kefir grain. Kefir grains typically contain between 30 and 50 strains of bacteria and yeast, depending on the culture method used. The earliest recorded health benefits of kefir were linked to the potential advantages of a ‘normal’ gut bacterial microbiome in promoting good health and longevity. Like milk, kefir is rich not only in protein and calcium but also in vitamin K. The availability of calcium, in particular, has also been linked to a reduction in the diabetes risk as well. Is kefir safe for people with lactose intolerance? Despite being made from milk, kefir can be used as an alternative source of calcium for those with lactose intolerance. This is because the fermentation process greatly lowers the concentration of lactose found within kefir. Research has shown that kefir possesses a range of antibacterial and antifungal properties. When tested against a series of pathogenic fungal and bacterial species, kefir was found to be as efficacious as several antibiotics in hindering microbial growth. Some species of bacteria found within kefir, such as L. acidophilus and L. kefiranofaciens, have been found to show independent antimicrobial activity against a range of pathogenic organisms such as E. coli and salmonella. 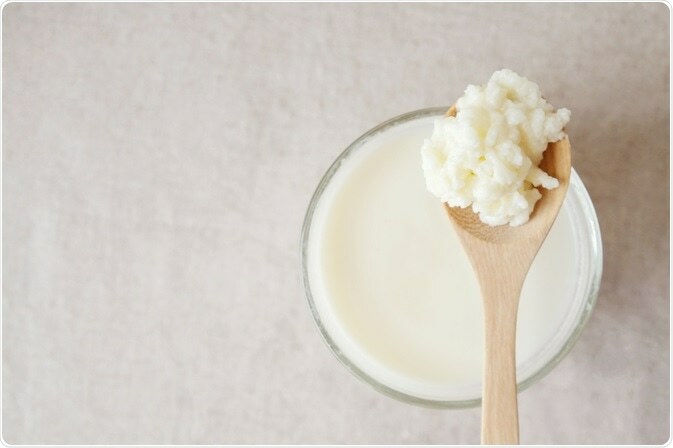 Research suggests that due to these properties, kefir may be beneficial not only in combating food-borne pathogens but also in preventing and treating gastroenteritis and vaginal infections. Coronary heart disease is one of the most common causes of death in the western world, with high cholesterol levels being a prime contributor. A healthy diet and lifestyle is important to reduce the risk of developing the condition. Research has shown that milk, and by extension fermented milk products such as kefir, can reduce cholesterol levels. During the fermentation process, kefir grains can also reduce the overall cholesterol levels in milk itself by approximately 41 to 84%. Probiotics are living microorganisms which can exert several health benefits on consumption. Lactobacillus is a strain of kefir which is typically used as a probiotic due to its ability to regulate the body’s immune system and inhibit the growth of bacteria and parasites which are pathogenic in nature. Its use as a probiotic is generally considered safe. However, certain strains have been linked to the onset of sepsis and endocarditis, though this is mostly seen in individuals who have severe underlying medical illnesses. Kefir is a good source of calcium and vitamin K, which are thought to play a role in bone health. Research has demonstrated that adequate calcium intake can reduce the risk of developing fractures and osteoporosis. Lactase deficiency is a common cause of low calcium intake. For those with this condition, kefir consumption may allow them to reach their recommended daily calcium intake. Research has found that kefir has anti-carcinogenic properties that prevent and suppress early stage tumors. This is thought to be achieved by the inhibition of enzymes that typically convert pro-carcinogenic compounds to carcinogens. The role of kefir in the onset of apoptotic cell lysis in tumors and inhibition of tumor growth is established at present. In short, several health benefits have been associated with the consumption of kefir and it is especially beneficial for those who are lactose intolerant. The Role of Calcium in Human Aging. The Microbiota and Health Promoting Characteristics of the Fermented Beverage Kefir. Safety Characterization and Antimicrobial Properties of Kefir-Isolated Lactobacillus kefiri. Microbiological, technological and therapeutic properties of kefir: a natural probiotic beverage. Anti-inflammatory properties of kefir and its polysaccharide extract. 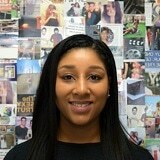 Chloe graduated from Bangor University with a Class I degree in Psychology. After studying the topic for five years, she developed a keen interest in clinical and cognitive psychology, and is currently completing a Master’s Degree in Clinical and Health Psychology at the University of Bangor.